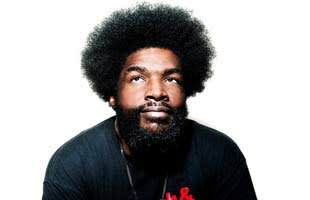 The leader and drummer for the unbeleivable hip-hiop group The Roots, Questlove is an absolute genius and makes some of the greatest music. He is often seen drumming for Jay-Z when he uses a live band, one of the best drummers in hip-hop history. He is also one of the few still using real instruments.